When Motorola made a comeback by launching the Moto G and Moto X series, the intent of the company was very clear - launch 2 or 3 series catering to different budgets, and launch one device per year for all the series. Moto E was later launched and for the first two generations, the company focused on providing quality products and good software support. Ever since Lenovo took over, this approach was thrown away, with multiple phones and their plus variants getting launched each year. So, just 6 months after Moto G5 and G5 Plus were unveiled, they are coming up with an upgrade, the G5S and G5SPlus. Motorola Moto G5S Plus is all set to be unveiled in India on August 29. Amazon India has posted a product page which shows the hashtag #FindYourFocus, and mentions that the phone will be unveiled at 12 PM on 29 August. The highlight of this device is the rear dual camera setup. The 12 MP f/1.7 camera on G5 Plus will be replaced by Dual 13 MP cameras, with a narrower aperture of f/2.0. Front facing camera will also be upgraded from 5 MP to 8 MP, while an LED flash will provide better low loght images instaed of screen flash feature. The display will be larger at 5.5 inch compared to 5.2 inch of G5 Plus. The overall dimension will also be larger at 153.5 x 76.2 x 8 mm compared to 150.2 x 74 x 7.7 mm, and the weight goes up from 155 g to 168 g. G5S Plus also has a 64 GB variant, though we have to wait till its launch to find whether this variant will be made available in India. Android 7.1 will be available out of the box, while G5 Plus had Android 7.0. 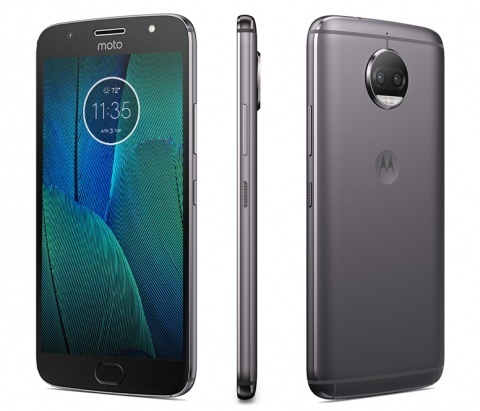 Almost all other features, such as battery capacity, processor, design, color options, display resolution and microUSB port will be exactly the same as Moto G5 Plus. Pricing details will be available after the launch.